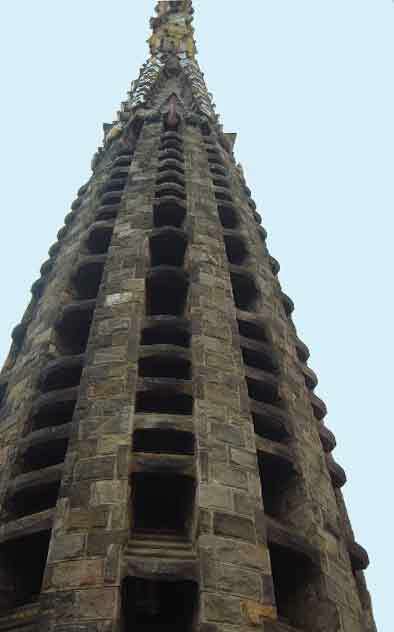 You can ascend some of the towers, by either a lift or by walking up very narrow spiral staircases. A head for heights is required, note the stone bridges that join the towers together, if you go up one tower you come down another. 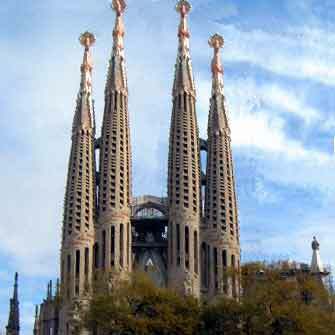 If visiting in winter wear warm clothing, the wind blows a gale through the open window structure of the towers. 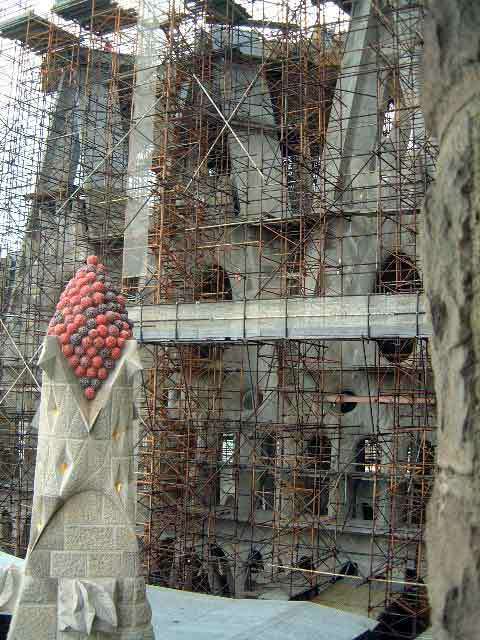 Construction of this impressive temple started in 1882, and one year later Antonio Gaudi was appointed Project Director. He worked on the project until his death in 1926. 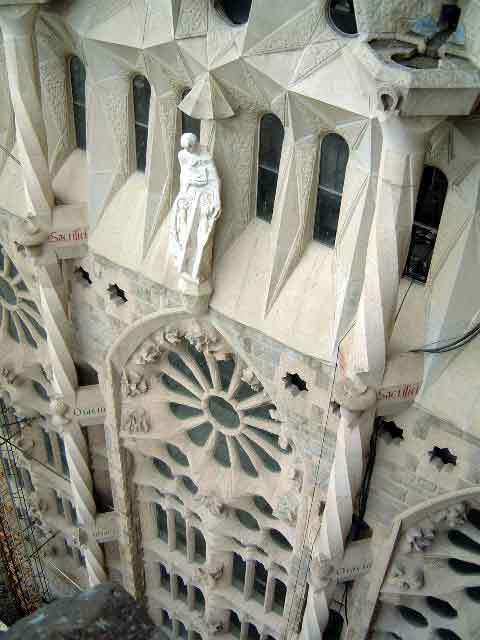 It is well worth comparing the look of the 4 towers, statues and frontage on the C / De Marina side, built by Gaudi to those on the C / De Sardenya built under the newer architect. The flamboyance and the to some peoples minds the OTT (over the top) Gaudi design is changed to a more geometric design, note the square jaw angular look of the statues.